An all-in-one media playback workflow for Asus Transformer Book Duet TD300, so that you can playback Blu-ray, DVD and HD videos on both its Android and Windows OS without format issues. Just like the Transformer Book Trio released last year, the new released Aus Transformer Book Duet TD300 is able to switch OS between Android and Window easily because they built basically two machines into one instead of a virtual environment. Speak of the OS, it’s full Windows based- not Windows RT for tablets, which mean you get it as a everyday-use laptop as well as a 13-inch Android tablet. Finally a larger Screen for Android with Core i7, 128 GB solid-state drive. Anyway in my mind, this Asus Transformer Book Duet TD300 is also an ultra book, but with flexibility, and it’s priced like other non-flexible ultra books. Although this gadget can work as a full windows-based notebook, it’s only equipped with a built-in DVD drive when you put it back to the keyboard. Somehow it’s not ideal for people who want one-stop media playback solution for all their Blu-rays, DVDs and HD videos. I just did some digging on all the video converting and disc ripping tool, and this Pavtube Blu-ray Video Converter Ultimate literally works the best. Easy-to-use UI, simple workflow, various presets for different devices, reliable quality with reasonable price; I’m impressed. 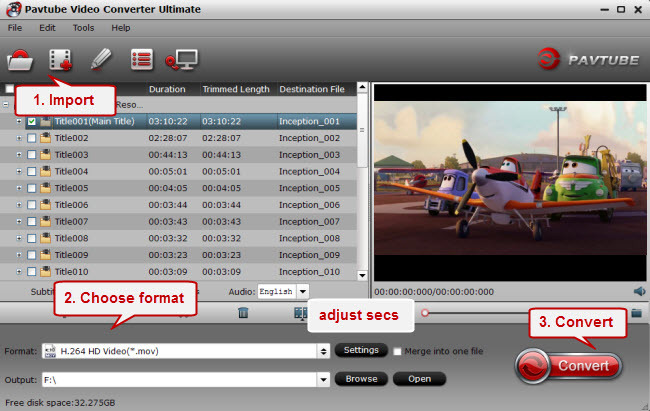 Video Converter Ultimate (Windows/Mac)More detailed information is published on prweb.com. 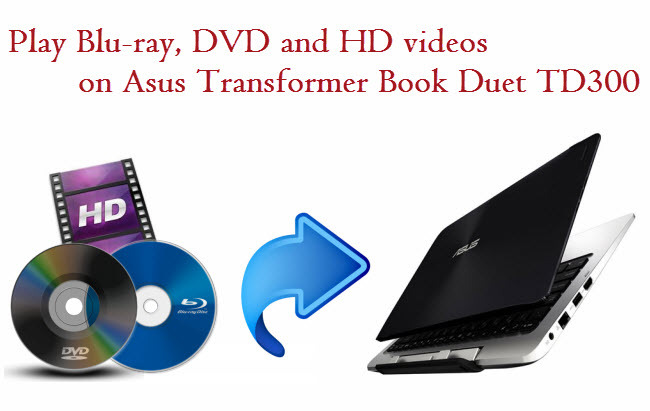 If you have a large Blu-ray or DVD collection, you are suggested to digitize them into video format like MP4 for Asus Transformer Book Duet. DVDs can be loaded to it directly, but an external Blu-ray drive is needed if you want to deal with Blu-rays. Connect your blu-ray drive to Asus and insert Blu-ray, launch Pavtube Video Converter Ultimate and click the top left icon disc to load Blu-ray/DVD. It will check the main title automatically. The following steps are the same as HD videos in Part 2. Click the small plus icon to import video files. Click “Format” list to choose format. Basically for both Android and Windows, H.264 MP4 is the best choice. Choose “HD Video>H.264 HD Video (*.mov)” in it. It will output a medium quality 1080p MP4 file. If you are not satisfied with the default specs, click “Settings” as above to change frame rate, bitrate, size, etc. on your own. When it’s all sorted, click “Convert” to start the conversion. It will start converting all the files in batch if you have several files to convert. After it completed, you can hit “Open output folder” to find generate MP4 files quickly. Now transfer them to your Asus Transformer Book Duet TD300 and enjoy your movie & video!